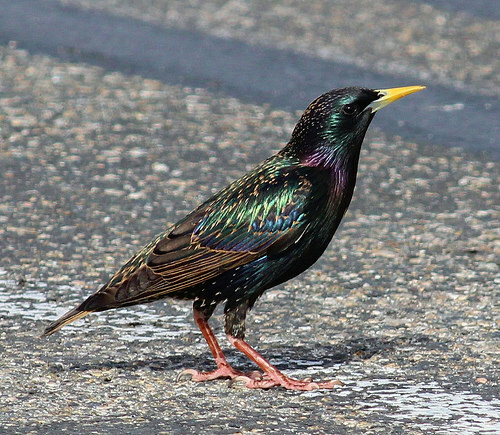 The Starling is one of the most common birds in the world. It is often regarded as a quite ordinary black bird, but you have to take a closer look. Then you will see the beautiful shiny colours green and blue through the black feathers. 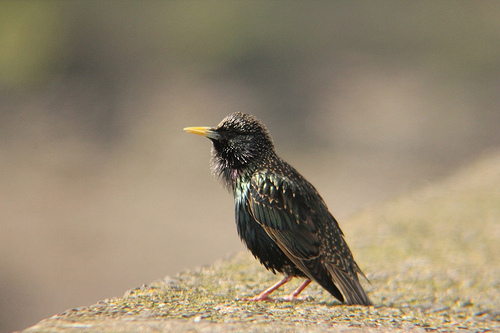 The Starling is much smaller than the Jackdaw and is often speckled. 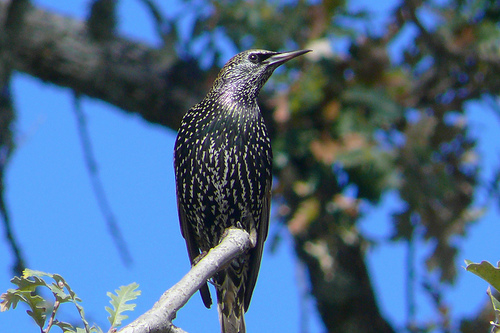 The beak of the Starling is thinner and relatively long.